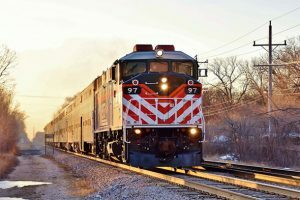 The U.S. Department of Transportation’s (DOT) Federal Railroad Administration (FRA) announced it has issued two final rules to better protect railroad employees working on or near railroad tracks. One rule amends the existing Roadway Worker Protection Regulation, while the second rule, Control of Alcohol and Drug Use, amends the FRA’s current drug and alcohol testing regulations expands the requirements to now cover maintenance of way (MOW) employees. The second rule fulfills a requirement of the Rail Safety Improvement Act of 2008. Amend certain qualification requirements for roadway workers. Require annual training for any individual serving as a roadway worker in charge. “These new rules add another layer of protection for workers who work along and near railroad tracks and will help us reduce preventable worker injuries and fatalities,” said FRA Administrator Sarah E. Feinberg. These updated changes came in response to a congressional mandate and recommendations by the National Transportation Safety Board (NTSB). These changes allow the FRA to broaden the scope of its existing drug and alcohol testing regulation to include Maintenance of Way (MOW) employees. Currently, a MOW employee is only drug and alcohol tested when he or she has died as a result of an accident or incident. MOW employees will now be fully subject to FRA’s drug and alcohol testing that includes random testing, post-accident testing, reasonable suspicion testing, reasonable cause testing, pre-employment testing, return-to-duty testing and follow-up testing. “Whether you are an engineer, conductor or someone working alongside the tracks, safety requires alertness. Any reduction in awareness caused by drugs or alcohol use can often be the difference between life and death,” Feinberg added. The final Roadway Worker Protection rule is effective April 1, 2017. The Control of Alcohol and Drug Use goes into effect one year after publication.